Don’t get me wrong, I grew up on those dense, chewy bagels that came in plastic baggies, no matter if it was cinnamon raisin or blueberry or plain smothered in cream cheese. But you know how sometimes you just never realize how much better something tastes when it’s homemade and not filled with preservatives so that it will last two weeks in your pantry? These bagels are the perfect example. 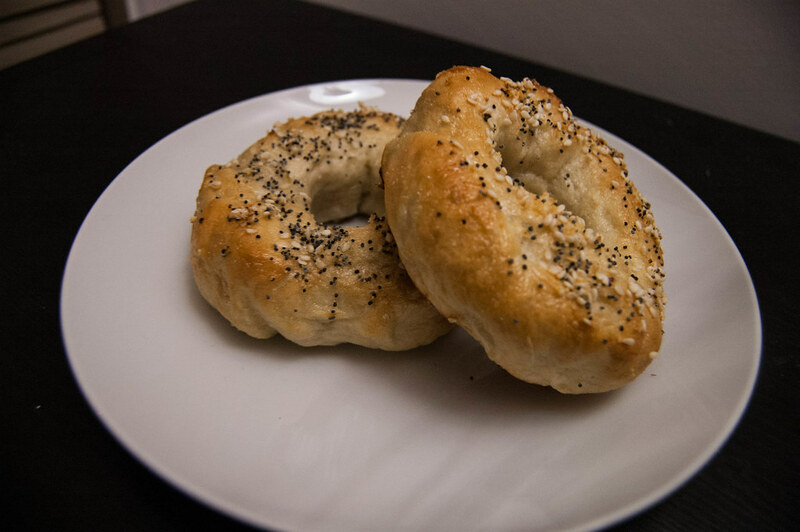 Like the classic go-to New York-style bagel, these everything bagels are topped with sesame seeds, poppy seeds, garlic powder and onion powder. The moment you pull them out of your oven, you’ll want to run out for a package of cream cheese and practice some serious self-restraint in order to not eat all eight at once. 1. In a large bowl, mix together warm water, granulated sugar and yeast. Let stand for 10 minutes. 2. Add salt and flour to the large bowl. Mix until combined, then knead for 5 minutes until dough is elastic and uniform. 3. Allow dough to rise for 1 hour. 4. 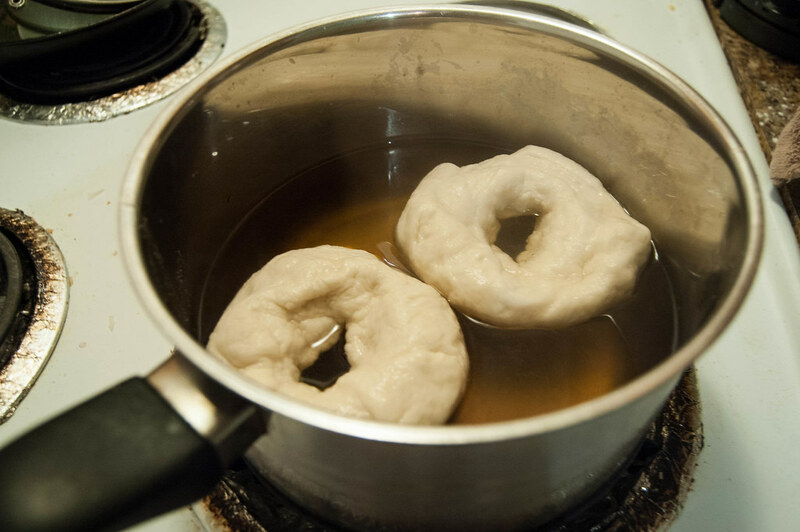 When dough has risen, add water and brown sugar to a saucepan, bring to a boil and turn down the heat to maintain a low boil. Meanwhile, punch down dough and cut into 8 equally-sized pieces. 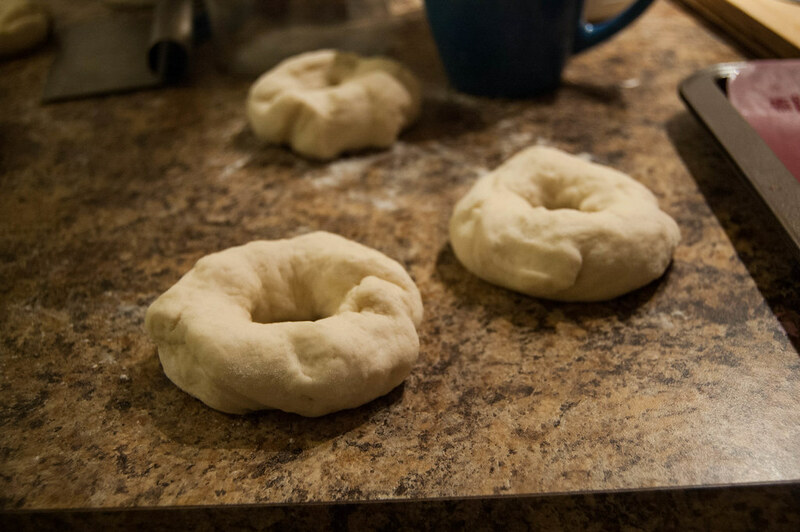 Roll each piece into a ball and then poke a hole in the center, wiggling the dough to create the bagel shape. 5. Place dough into the saucepan and let it sit for 1 minute, then flip dough over and allow it to sit for another 1 minute. Preheat oven to 425ºF. 6. 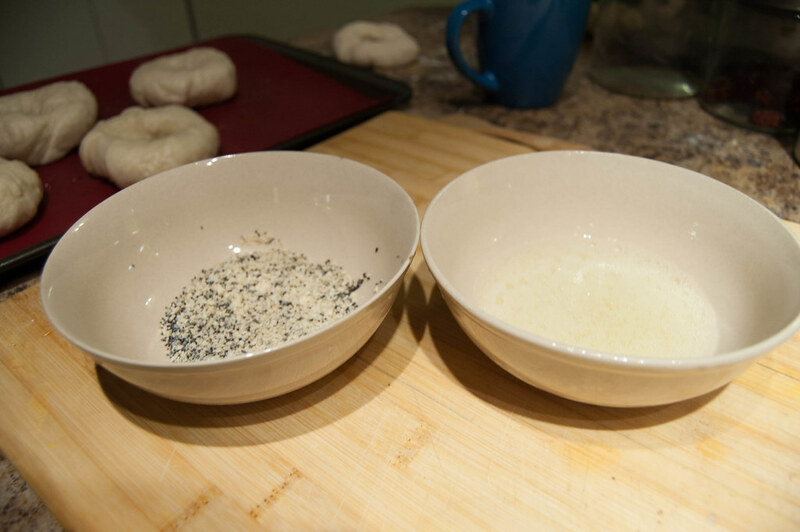 Meanwhile, in a small bowl, mix poppy seed, sesame seed, garlic powder and onion powder. In a separate bowl, whisk the egg white until slightly frothy. 7. 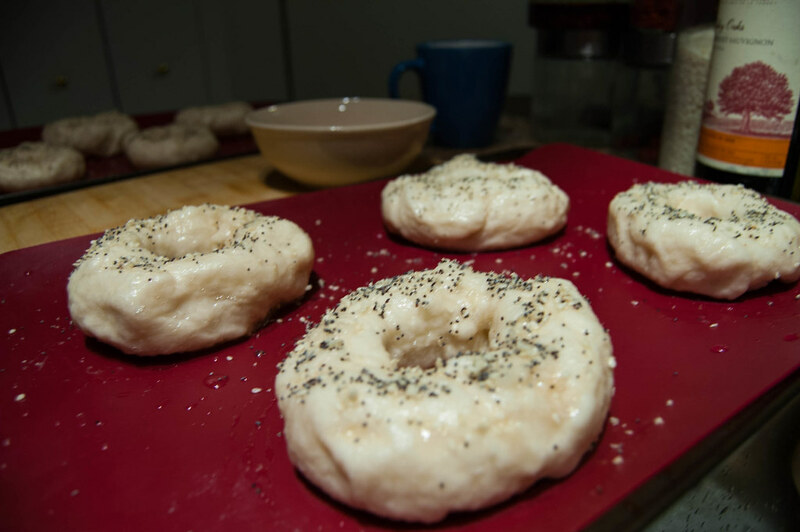 Brush each boiled bagel dough with the egg white and then sprinkle with the topping mixture. 8. 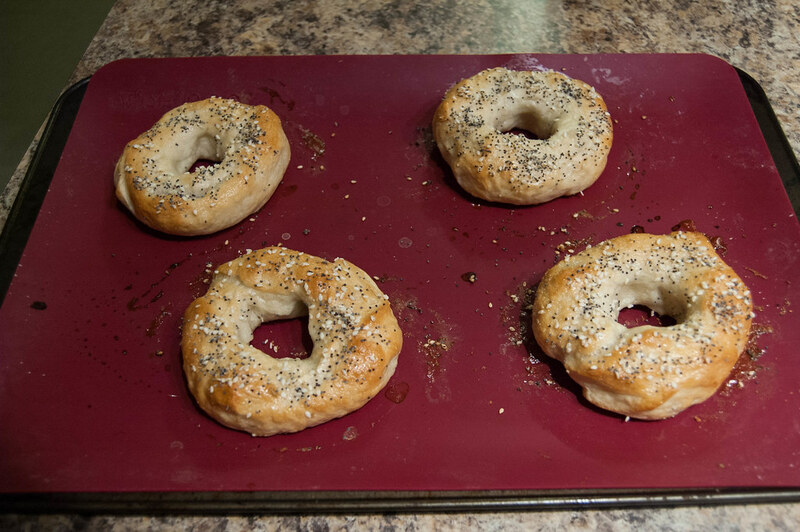 Bake bagels for 20-25 minutes in the oven or until tops are golden brown.